The playground at Providence Bay Reserve Hawks Nest is set for a makeover, as MidCoast Council commences works. The playground at Providence Bay Reserve Hawks Nest is set for a makeover, as MidCoast Council commences works from this Monday. 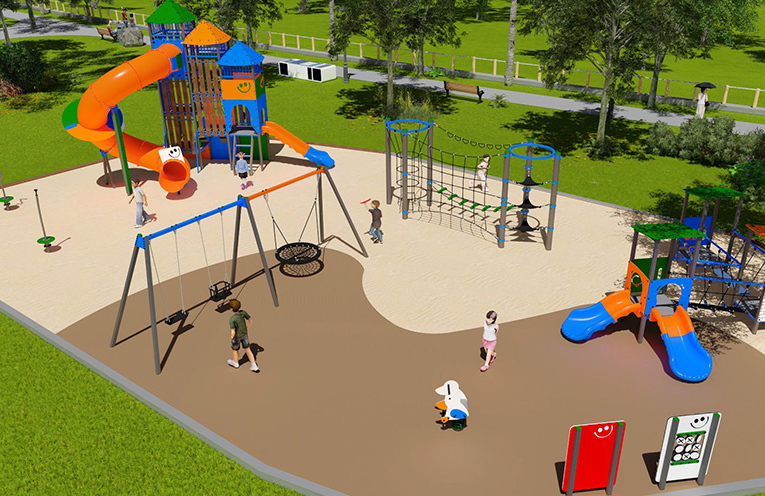 The upgrade is taking place thanks to funding from the NSW Government’s Stronger Communities Grant (rounds 1 and 2) and will include installation of soft-fall, replacement of the play equipment and a shade sail over the play area. “Although the playground is currently closed while these works take place, we’re expecting to have the work complete and the playground up and running in time for the school holidays, which kick off on Monday 15 April,” said Council’s Manager of Community Spaces, Recreation and Trades, Dan Aldridge. Providence Bay Reserve is located on Booner Street, Hawks Nest, nestled between the caravan park and Bennetts Beach Surf Club and is popular with locals and visitors alike. MidCoast Council manages 86 playgrounds across the region, with 10 identified as high use / regional parks, and the remainder either categorised as high use district parks, or lower use neighbourhood parks. “We have a plan for playground upgrades which focuses on maintenance providing structured or natural shade over playground equipment and improving accessibility to play equipment. “Last year we completed upgrades to playgrounds at Palmgrove Park in Forster, Limeburners Creek and relocated a playground with new equipment and a small cycle loop in Nabiac. We’ve also partnered with the Harrington Lions Club to install a new playground at Gordon Smith Reserve in Harrington, and work has been completed on the playground at Billabong Park in Gloucester,” said Mr Aldridge.